Select a color Gold Mercury Lite Silver Clear Special Color ask? 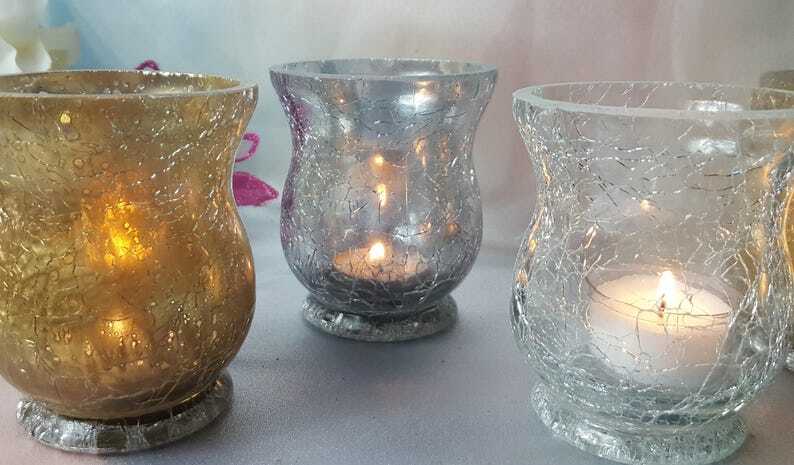 These look best with the mercury effect painted inside and to use as a candle holder. If I paint on the outside - you will lose the crackle effect. The light just bounces - beautiful. These are water tight. If you need a larger quantity - message me, I always have more coming in. Height: 3.5 in. Diameter: 3.125 in.